Mens snowboard bindings from The Board Basement. Make sure that your snowboard boots are compatible with the snowboard bindings and that you get the right size. 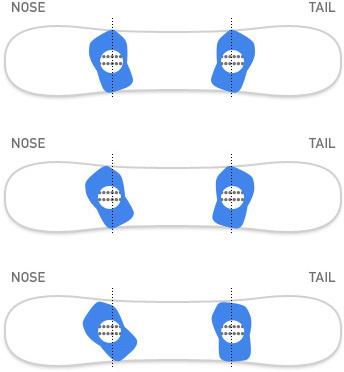 Use a more centered stance for "freestyle", one set back for "all mountain" and back to the max for "freeride", when you set up your snowboard bindings. We offer a wide selection of easy entry bindings and regular two strap snowboard bindings from Ride, K2, Union and other brands. 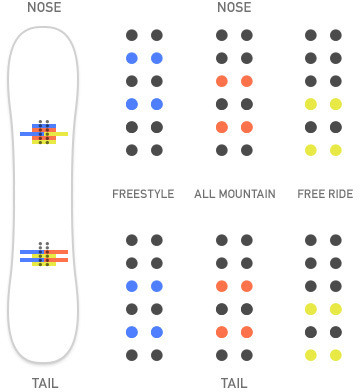 Use the filter on the left hand side to find the perfect snowboard bindings for you. Feel free to contact us for advice.